Buying a home is a big step in your life--and a big financial commitment. In order to get the best rates on your mortgage, you need a significant down payment up front--not to mention the cost of moving, closing costs, and other things that you'll have to pay for out of pocket. With most lenders wanting around a 3% down payment or more, it's important to save carefully before starting the purchase process. Sit down with a piece of paper (or an app) and actively track your actual expenses. This includes both fixed expenses, like your current rent and your monthly electric bill, and variable expenses, like your gas and groceries. Make sure to include everything that you spend money on across the course of the month. Not only will this give you an idea of how much money you'll be able to save, it will give you a better idea of how much you can afford to pay for your mortgage. For the next month, track every dollar that you spend, whether you're stopping at the gas station and grabbing a soda or heading to the grocery store to get extra ingredients for dinner. You may be surprised by how fast those incidental expenses add up. Once you can see what you're actually spending money on, you can do a much better job of re-allocating those funds for other purposes. Are you still paying the high cost of cable every month? Is there another internet provider in your area who might offer you a lower introductory rate--and lower long-term rate--than your current provider? What about your cell phone bill: do you really need unlimited data, or is that something you can afford to do without? Now is the time to reconsider whether or not you actually use that expensive gym membership often enough to justify it. Take a look at your monthly subscriptions: how many of them do you actually use or care about? As you decrease unnecessary bills, make sure those extra dollars go straight to your home savings. If you try to stick to a rigid budget with no room whatsoever for fun, you'll quickly discover that you're more likely to "cheat." You earned those shoes for being good. You just want to stop and grab fast food on the way home once...or twice...a week. When you factor fun money into your budget, on the other hand, you'll find that you're much more likely to actually save the rest--and as a result, your savings will increase. 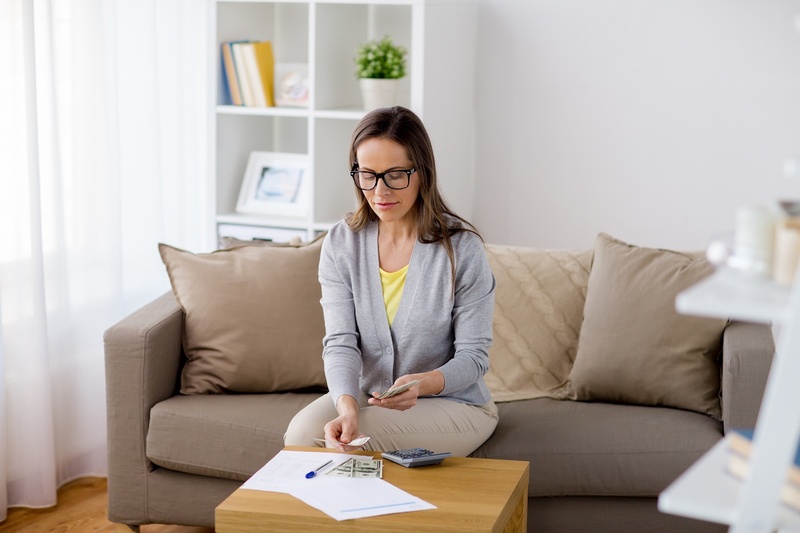 When you take a hard look at the cost of owning your own home, you'll be more likely to save longer, giving you a chance to build up your savings account so you'll be better prepared for potential expenses. That will save you from feeling as though you're drowning with your new budget after you purchase your home. If your saving money to buy a new home and are researching next steps, contact us. We'll walk with you through the home loan process and help you secure the home of your dreams.